Welcoming HG Eklavya das - Sunday, May 24th ~ The Toronto Hare Krishna Temple! 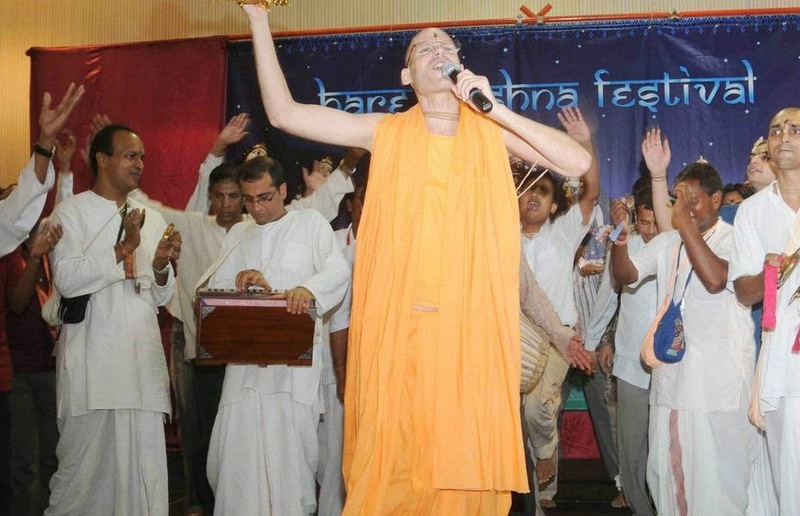 This week, Toronto's Hare Krishna community is excited to welcome HG Eklavya das! He will be conducting various programs around the GTA and will be conducting the Sunday Feast this upcoming Sunday, May 24th! Eklavya Das was born in New York City, USA in 1965. By the time he entered the Berklee College of Music in Boston, in 1982 at the age of 19, he had already learned sixteen different instruments and played in orchestras, jazz big bands, brass quartets and rock bands in prestigious venues like New York Carnegie Hall and the Cool Jazz Festival. In 1987, Eklavya received his degree from Berklee College of Music in Recording Engineering and Production. Eklavya Das joined ISKCON at the age of 26 in Ireland, Europe. At 27, during a meeting in Spain with his spiritual master, His Holiness Lokanath Swami Maharaja, he received the instruction to go to India where he remains based today, in Sri Pandharpur Dhama. He was appointed, by ISKCON’s highest managerial body, the GBC, to join a team of HH Lokanath Swami Maharaja and HH Janananda Goswami Maharaja in promoting World Holy Name Day all over the world. Eklavya is a well known traveling preacher in the world of international ISKCON visiting USA, France, England, Spain, Germany, Czech Republic, Switzerland, Italy, Croatia, Slovenia, Guyana, Trinidad, Russia, Dubai, Oman, Kuwait, Abu Dabi and Sharjah.